An important aspect of the Healthy Workplace initiative is working to help you enjoy a better balance between your responsibilities at home and work. 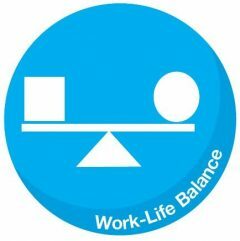 Healthy Workplace offers a variety of programs and activities to help you find balance, as well as some work-life balance specific sessions. Carleton University has an ongoing commitment to providing learning and professional development so that employees can enhance their skills and, in turn, feel more supported in their professional development. Healthy Workplace not only offers programming to enhance employees work-life balance but also incorporates and promotes existing policies and opportunities on campus. Learning and Professional Development – Learning and Professional Development at Carleton is dedicated to providing opportunities to enhance your individual skills and abilities, to meet your professional goals and to continue your career development. Process Improvement – The Office of Quality Initiatives is available to all administrative and academic departments at Carleton University to assist with the analysis and redesign of existing core administrative processes to achieve effectiveness and efficiency in day-to-day operations. In addition to working alongside smart and interesting people in Canada’s beautiful capital, Carleton offers a wide range of professional perks. We’re proud of our people, and make sure to take great care of each member. The group benefits that you are eligible for are determined by your employee group. You can find out more about your benefits package on the Human Resources website.